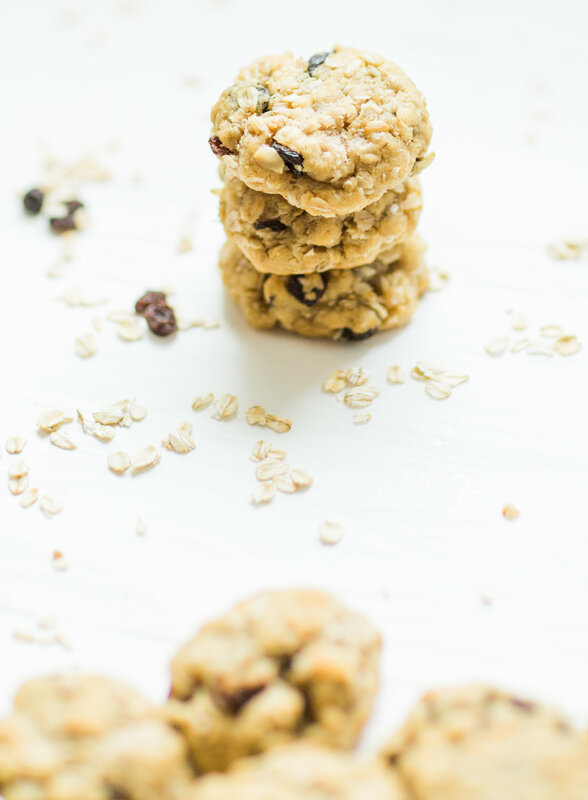 Our Very Favorite Oatmeal Raisin Cookies Recipe | Glitter, Inc. This oatmeal raisin cookies recipe post contains affiliate links, which means that if you click on one of the product links, I’ll receive a small commission. Thank you so much for clicking through and helping to support this little blog business of mine! Read more about our site, privacy, and disclosure policies here. 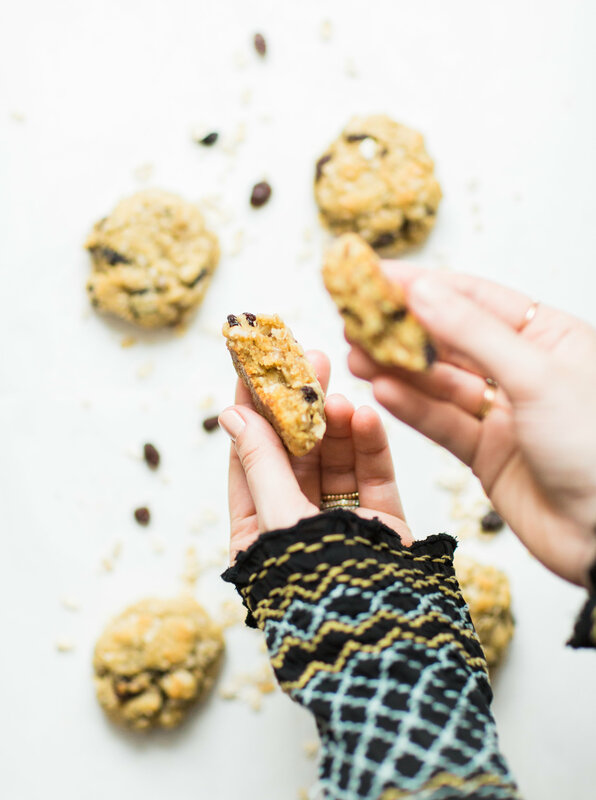 I’ve been searching for a long, long time for the perfect oatmeal cookies for our family. I am obsessed with a great oatmeal cookie. Oatmeal raisin, oatmeal chocolate chunk, I don’t discriminate. 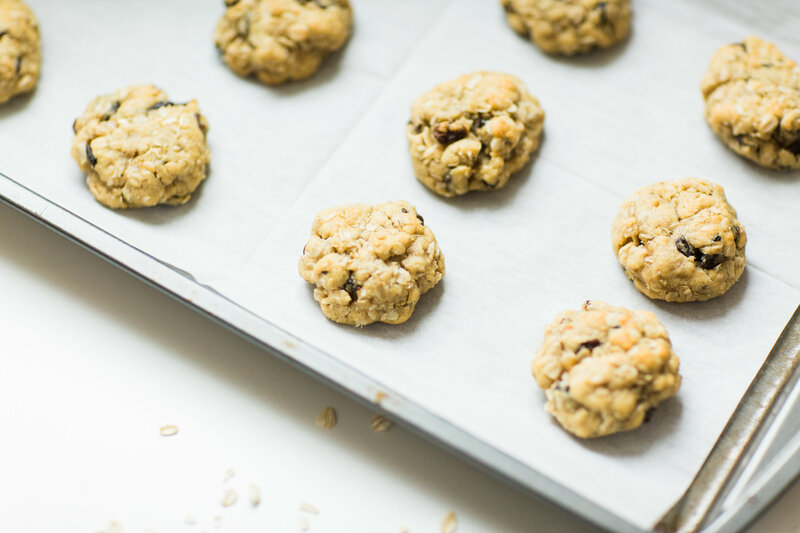 I’ve tried out a lot of oatmeal cookie recipes, and you know what, I found it. And it’s a dump everything into one bowl and have homemade oatmeal cookies ten minutes later kind of recipe. No creaming required. No chilling required. And yet, somehow, they are SO incredibly moist, chewy, crispy on the edges, and AMAZING. Whaaaat?! As an added bonus: they’re dairy-free. But don’t let that scare you. Don’t even think about that. 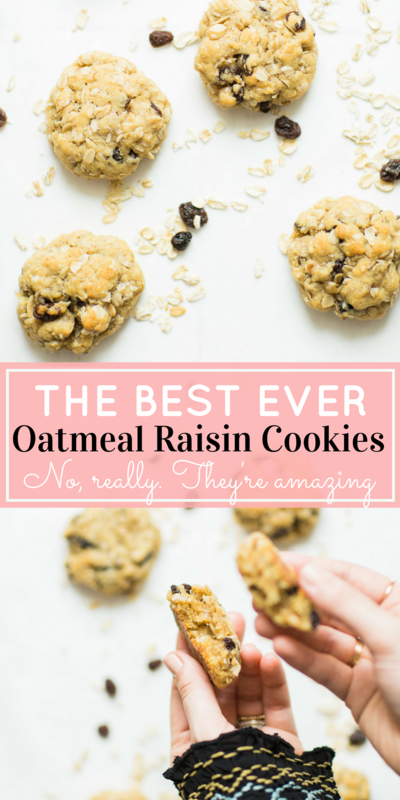 Think about the fan-freaking-tastic oatmeal raisin cookies. These are The. Best. Oatmeal. Cookies. Ever. Yep, I’m going to be that bold. 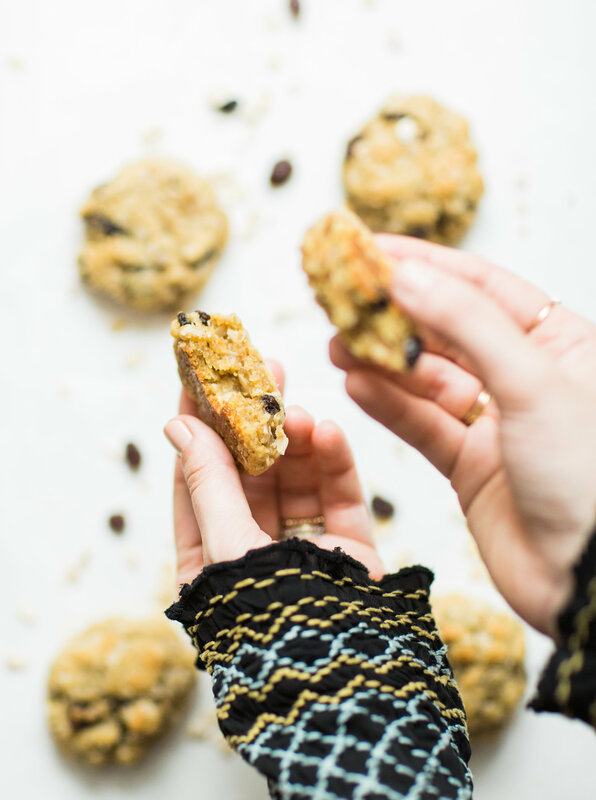 It’s a bold statement, I know; but I’ve got these ridiculously incredible oatmeal cookies to back me up. Huge and soft and the center is probably what heaven tastes like: sweet and buttery (though by some kind of baking wizardry, there’s no butter in this recipe at all), with hints of vanilla that clings to your tongue in the most incredible way. Crispy on the outside and super soft on the inside, they taste just slightly under-baked, and that’s exactly as it should be … do not over-bake these bad boys. I made them twice in one week. I’ll be making them again. Probably right after I hit “publish” on this post. He has since asked about them at least 4,762 times. My daughter is exactly the same. It’s also really hard to screw up these absolutely amazing oatmeal cookies. Making cookies using oil can be intimidating, and the wet-ish consistency to the dough before they’re baked can be weird, but I kid you not, all you have to do is throw all of the ingredients into a bowl, stir, use your hands to squeeze the dough into balls, plop them on a baking pan, throw them in the oven, and ten minutes later you will have the most amazing oatmeal raisin cookies ever. 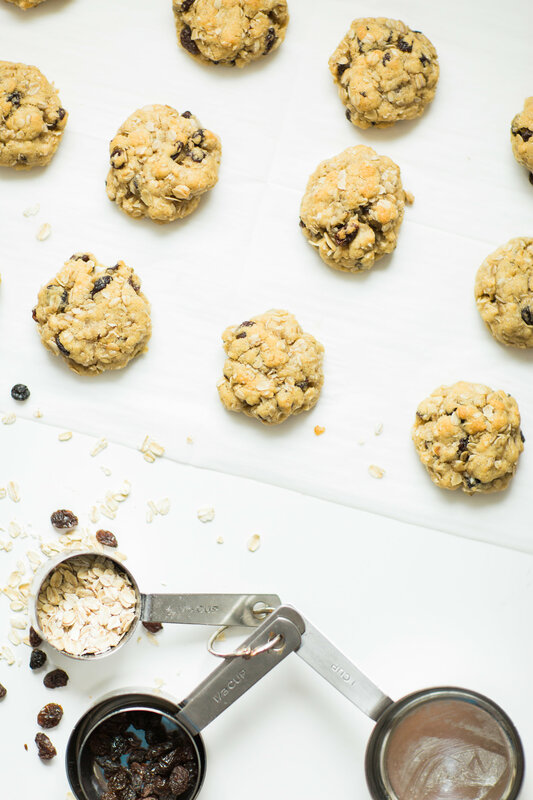 Perfect oatmeal cookies every.single.time. You can easily sub out the raisins for dark or semisweet chocolate chips or chunks. The important part is the heavenly oatmeal cookie. 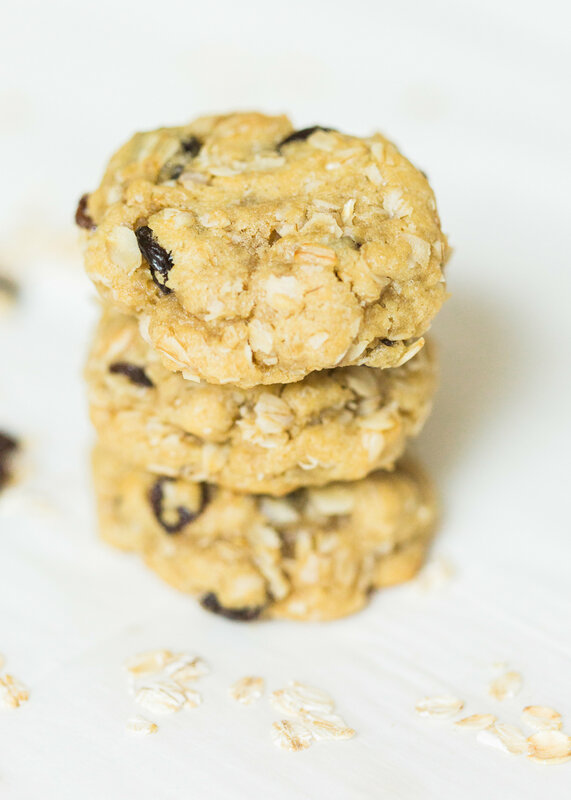 If you want to get technical, these INCREDIBLE, life-changing, earth-shattering, ooey gooey but crispy on the edges oatmeal raisin cookies are dairy-free. We love dairy-free recipes because our oldest daughter, Scarlett, has a milk protein allergy. If you want to make these cookies completely vegan, just substitute 1/2 cup applesauce or two flax eggs (1 tbsp ground flax seeds + 3 tbsp water per egg, stir and let sit in fridge for 15 mins) for the two eggs. They can also very easily be gluten-free. If you want to make these gluten-free, be sure to use gluten-free oats and then you can use Bob’s Red-mill gluten free baking flour instead of the regular flour. In a large mixing bowl or bowl of a stand mixer add the oatmeal, flour, sugar, brown sugar, baking soda, salt, oil, eggs and vanilla, beat until the dough is moist and all of the ingredients are combined. The dough will be crumbly. Mix in the raisins or chocolate chips. Using your hands to clump together approximately a tablespoon of dough. Use you hands to tightly squeeze the dough into a ball. (If the mixture is not holding, you can add an additional 1 tablespoon of oil, though I never find I need that.) Place dough balls on a prepared baking sheet. If your balls are a little crumbly, don't worry, they will come together while baking. Repeat until all dough is shaped into cookie balls. Bake for 10 - 12 minutes until set and golden. (I don't typically go over 11 minutes.) PRO TIP: These taste amazing right out of the oven! 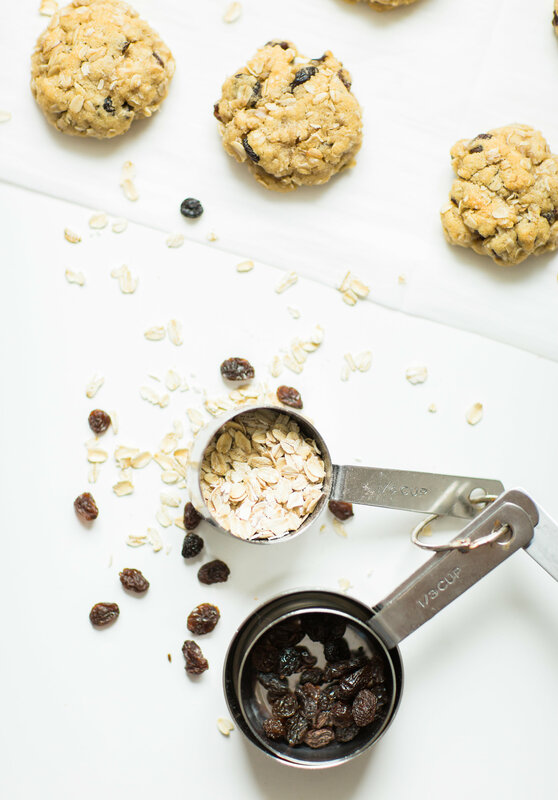 These oatmeal raisins cookies recipe works as cookie bars too. 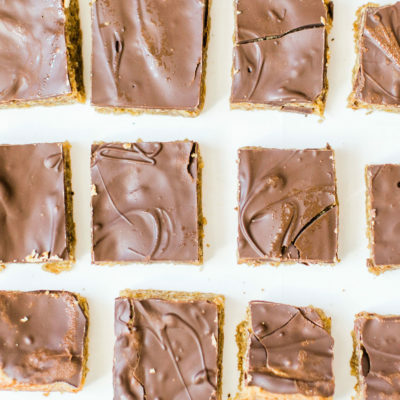 If you’d rather skip the rolling into balls step (because ya know, when you really want cookies, that process can be a tad tedious), you can make these into bars. Just mash your raw dough into a rectangular pan, and bake at 350 for about 25 minutes. They are fun to make with your kids. If you do roll your dough into balls, don’t be afraid to include your kiddos. My daughter loves making this recipe with me because of how oddly squishy and crumbly the dough is. It may seem like a mess, but just roll the bowls into tight balls, bake, and voilà! They freeze well. Make a big batch of dough and freeze half of the dough for a rainy day. I love having cookie dough on hand; you know, in case we just NEED cookies, stat. They store well. Store your cookies in an airtight container, either in the refrigerator or on the counter. They stay soft and chewy for days. You know you want a cookie! 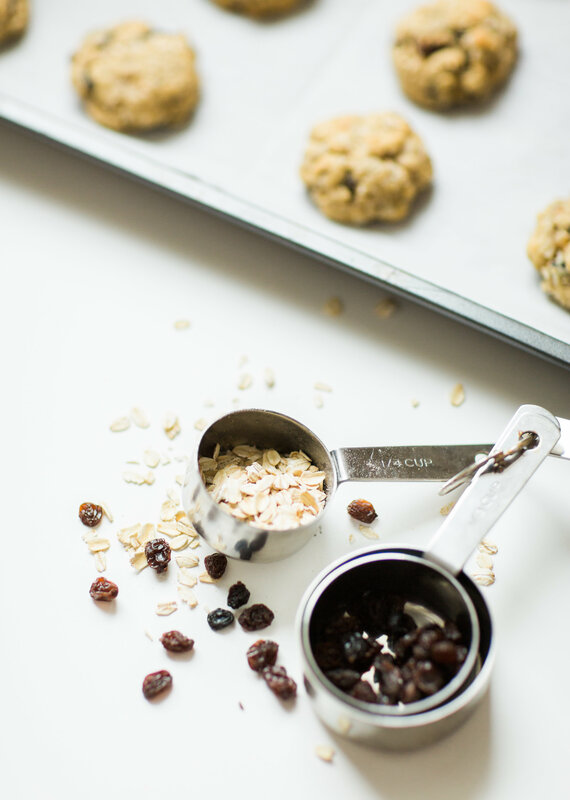 If you make your own amazing oatmeal raisin cookies recipe, be sure to tag me on social media (@glitterinclexi) so I can live vicariously through all of your sweet creations! 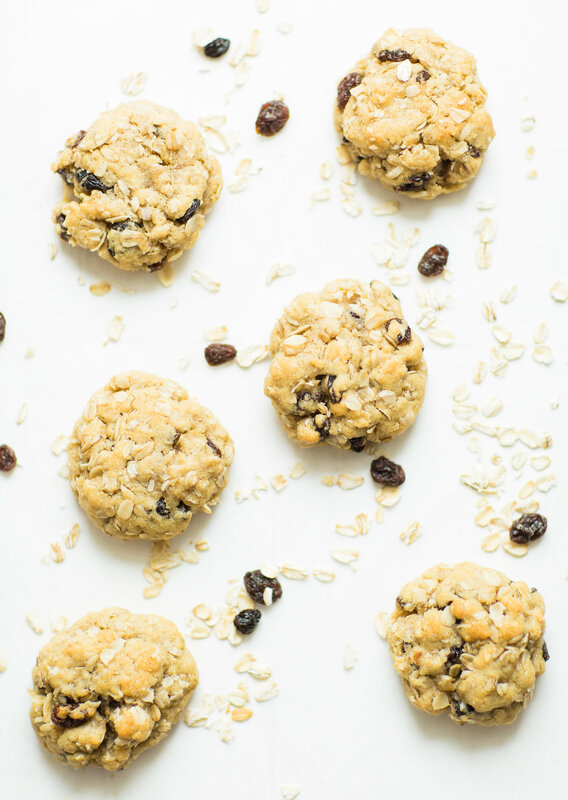 Love this oatmeal raisins cookies recipe? 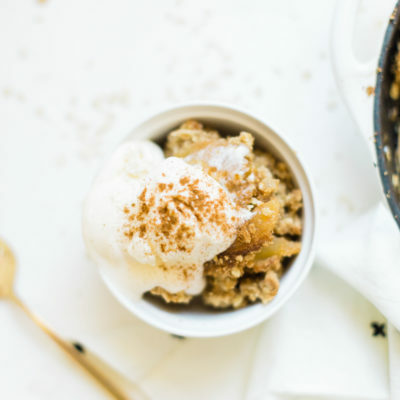 Head to our recipe page to check out what else we’re whipping up in the kitchen! YUM, Lexi!! 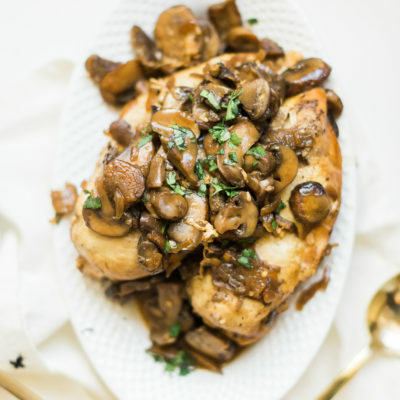 These look so good, and best of all: we’re always looking for recipes to cook with the kiddos and Evan would love this.